Enjoy Barcelona from the sea with your family, friends or as a couple. Go with the sport boat! Working hours in summer: 10 a.m. to 7 p.m. Sport boat is ideal for short trips on the coast of Barcelona. Up to 7 passengers can enjoy the trip on the boat. Our instructors will explain all the necessary information so that you can enjoy the experience with total security. You will get a life jacket for the activity. Don’t forget the sunscreen in the summer and appropriate clothes. The right shoes like sneaker or water shoes are very important. Book now and choose your favorite time and date. A few hours seem to short for you? Rent the Sport Boat for the whole day! Check the box and indicate us the name and an e-mail of the person you want to give it as a present. 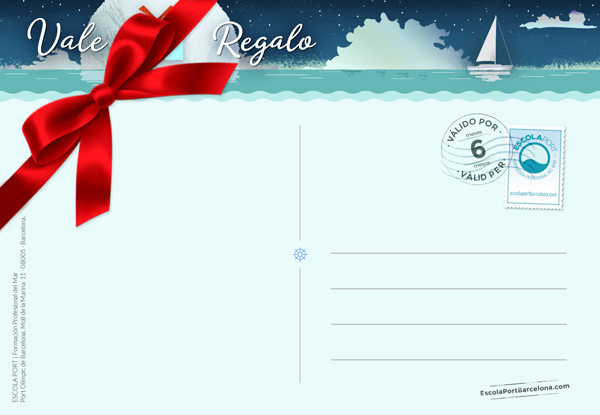 We will send you this custom voucher (PDF)! Or if you want, you can download it by clicking this link and edit it to your liking. It’s pretty easy. You buy it, we send the voucher, you give it away… or not, and it can be used till 6 months later. Give unique experiences.